There wasn’t time to enjoy the worldly charms Morocco had to offer. We were stopping for one night only before heading into the desert early in the morning. I barely had the time to unpack my toothbrush and photograph the snake-charmer I could see from the balcony. I watched the them through the camera’s lens. The snake started to twist and twirl its way out of the basket. 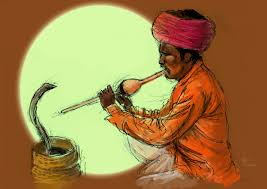 The snake-charmer was swaying himself from side to side as if in communion with the snake. 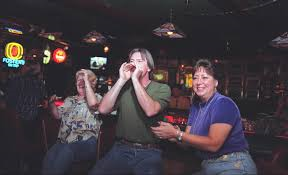 His fingers tickled the wooden pipe as the snake rose even higher. As if commanded by the mystical notes he played. Tourists threw money into the pot happy to share in this belief that man and animal were one with each other. Happy to share in the belief that life was more than just an accidental set of circumstances. The snake continued to bob and weave. Its mouth closed tightly by hidden string. I headed downstairs to the hotel restaurant to meet my fellow trekkers. Martin Suseman was a well-seasoned traveller. The blurb on the book’s jacket cover said he had been educated at Oxford and had travelled, taught, and wrote extensively about spiritual matters. In his late fifties, he dressed ten years younger, and had a healthy vitality that lifted you up and made you feel comfortable that he would be leading the group over the next two weeks. ‘Welcome everyone. Especially to Dr Fritz who has arranged this trek with his fellow healers and one special guest from England.’ All heads turned towards me as the odd one out. It seems it was purely luck that led me onto this retreat. Everyone else was there as part of a larger group of body healers on some annual pilgrimage. The enormity of what I was about to do started to dawn on me. On my holidays you drunk sangria and sang quick disco songs at the Karaoke. This lot were doctors and academics. Quite wealthy too. The desert was starting to swallow me up already. Martin gave us a detailed explanation of the route we would be taking and the kind of environment we would be walking in. We would be up early at five every day and then walk for eight hours with breaks. I was always relatively fit so felt no problem with the walking. As for no talking. I had often been alone and felt that would too would be easy.